An impressive street with rows of houses at Moenjodaro. 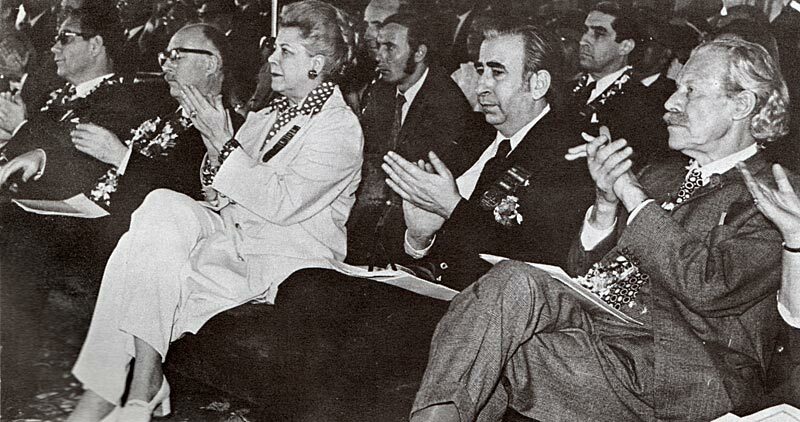 The 1973 conference was sponsored by UNESCO, a prelude to its formal naming of Mohenjodaro as the 138th UNESCO World Heritage site seven years later. Its Patron was H.I.H. Prince Takahito Mikasa of Japan, who recognized the city as "the most precious heritage of mankind," and described how "the wonderful system of drainage in straight or loosely curved lines made a vivd impression on me." Sir Mortimer Wheeler chaired the conference; a former pre-partition Director-General of the Archaeological Survey of India he had excavated at the site in 1950. 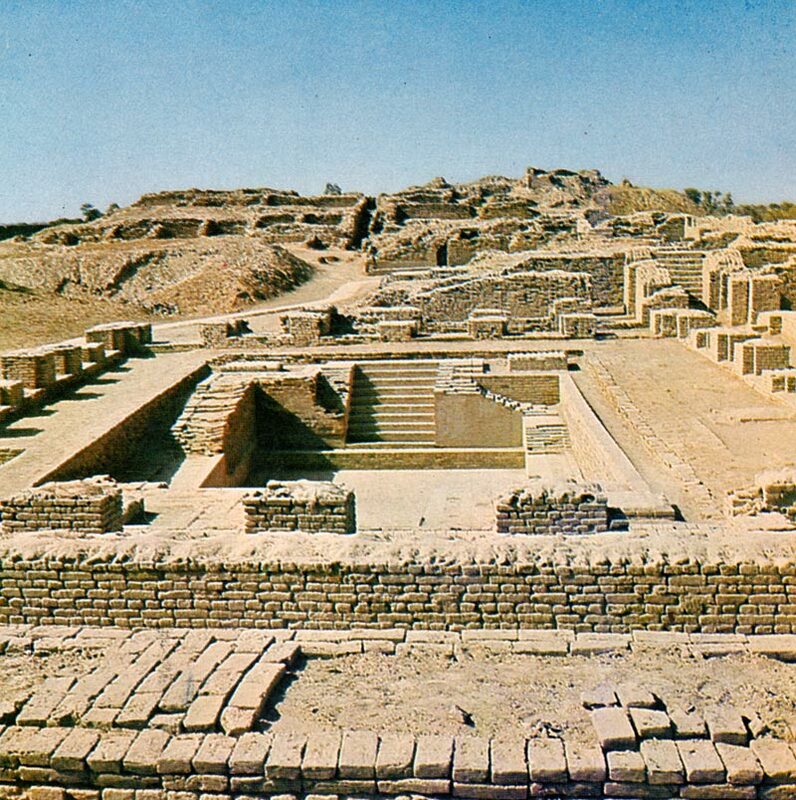 The American archaeologist George F. Dales, who had excavated at Mohenjodaro in 1964-65 and later founded the Harappa Archaeological Research Project, engaged in polite debate with Wheeler around the "mythical massacre of Moenjodaro." "We have skeletons all over the place [at the site], but they are not found in the streets where they were slain as Sir Mortimer suggests." (Symposium, p. 62). Nonetheless, Wheeler paid tribute to Dales his work along the coasts with this observation: "This reminds me that, while we spend years of our life and bags of our money in digging up sites in difficult places, the most profitable places, I think in my experience as a Trustee of the British Museum, are the cellars of our big museums. We need somebody with the knowledge and academic opportunity to continue what Dr. Dales began so well twelve years ago on the shores of the Persian Gulf, and to continue finding these service stations or ports-of-call to which the ships going up and down the Persian Gulf between the two great civilizations of Mesopotamia and the Indus called for fresh water, fresh vegetables and an interchange of goods." (p. 65). As we are increasingly discovering, Indus traders went deep into Gulf territories. Sir Mortimer Wheeler "also wished that there might be close collaboration with Indian archaeologists who were working on similar problems," (p. 22), a wish that may not have been entirely realized in the years since, but the openness and publication of so much information has allowed some of this to happen (Dr. Vasant Shinde of the Deccan College and key investigator of the Rakigarhi site in Haryana was a keynote speaker at the 2017 Mohenjodaro conference). 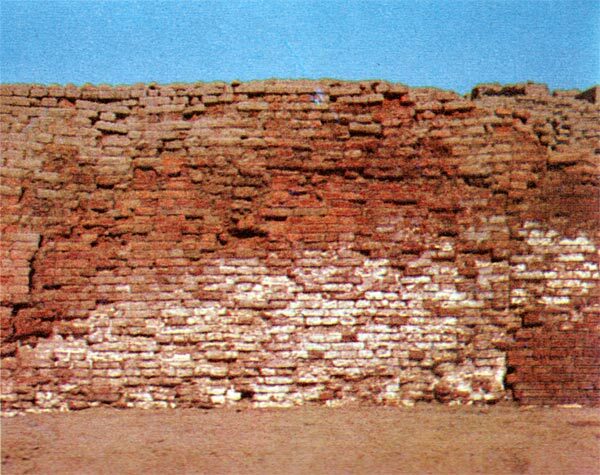 While the first two days of the 1973 conference were spent reading and discussing papers, the third was entirely spent on preserving the ruins given the concern expressed by UNESCO's expert Dr. H. J. Plenderleith that "if nothing is done to preserve them [the ruins of Mohenjodaro"], all the existing excavations will crumble within the next twenty to thirty years and one of the most striking monuments of the dawn of civilization will be lost for ever." A four part plan which included ground-water control, protection against river erosion, conservation of structural remains and promotion of cultural tourism was unveiled and discussed. 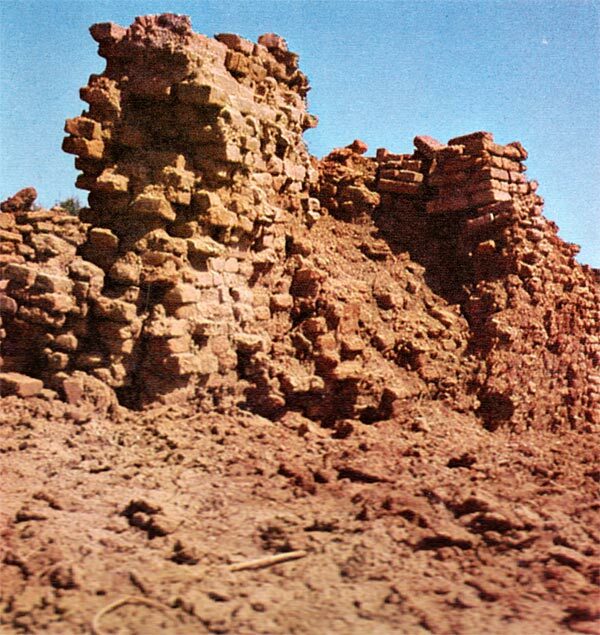 Later that year UNESO authorized a fund of $5m to assist in the preservation of Mohenjodaro, and portions of the four-part plan, especially the drilling of tubewells around the property to lower the water table would be implemented. 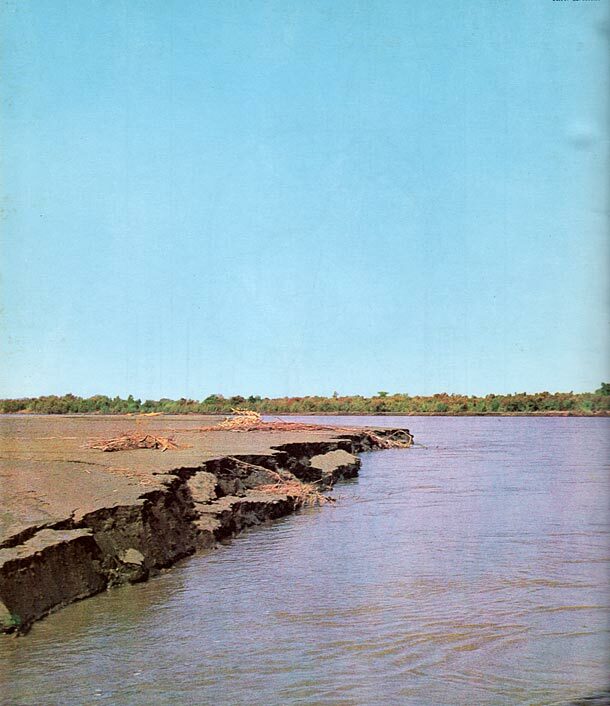 The site also still stands; nonetheless, there has been significant deterioration and there was much discussion at the 2017 conference on how to keep the site from further deteriorating. Through 2011 UNESCO apparently provided for over $23m of funding, including emergency funds after the devastating floods in Sindh in 2010. 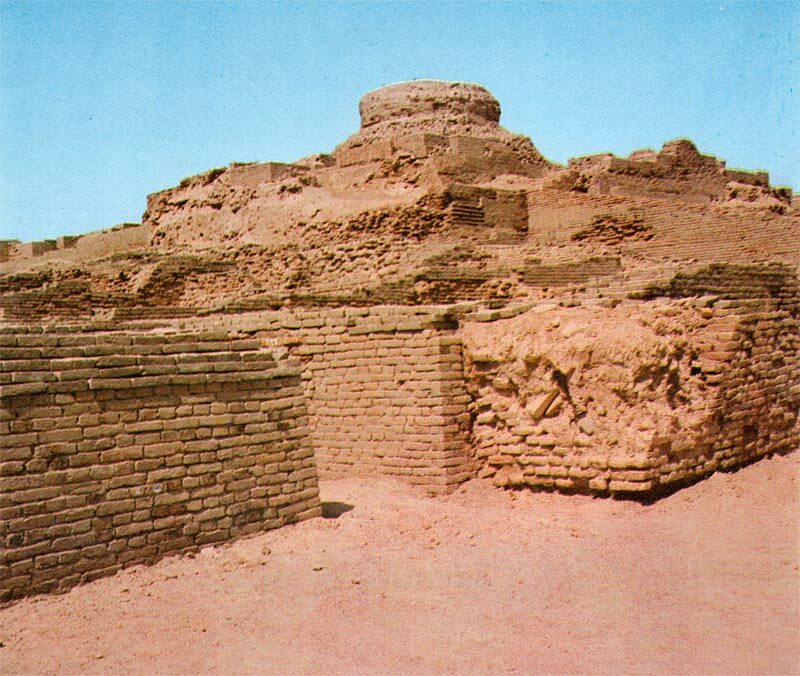 Preserving the site remains a challenge; as the then Director-General of Archaeology and Museums of Pakistan, S.A. Naqvi, put it in 1973, "we are not preserving Moenjodaro as a luxury of archaeology; we are preserving it because it is the heritage of mankind." (p. 26). 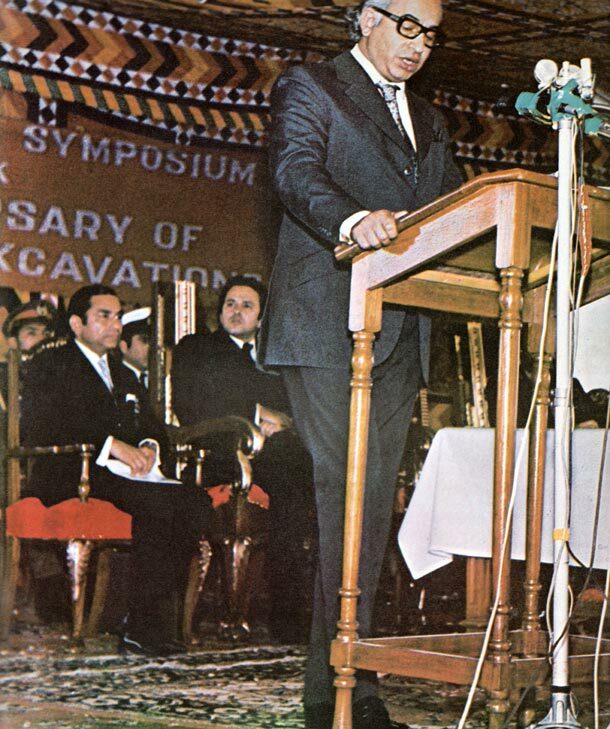 Incidentally, the Chairman of the National Committee for the Preservation of Moenjodaro which sponsored the 1973 conference was the renowned Judge Feroze Nana Gulamally, father of the recently deceased Sindhi educationist Anita Ghulam Ali. The 1973 conference papers and sessions are included in International Symposium on Mohenjodaro (1975) from which the images here are drawn and sown using the original titles in the book. In 1994, W.S. Logan wrote and UNESCO published Preservation and Development of Moenjodaro Archaeological Site, An Updated Master Plan for 1993-2003. 1. 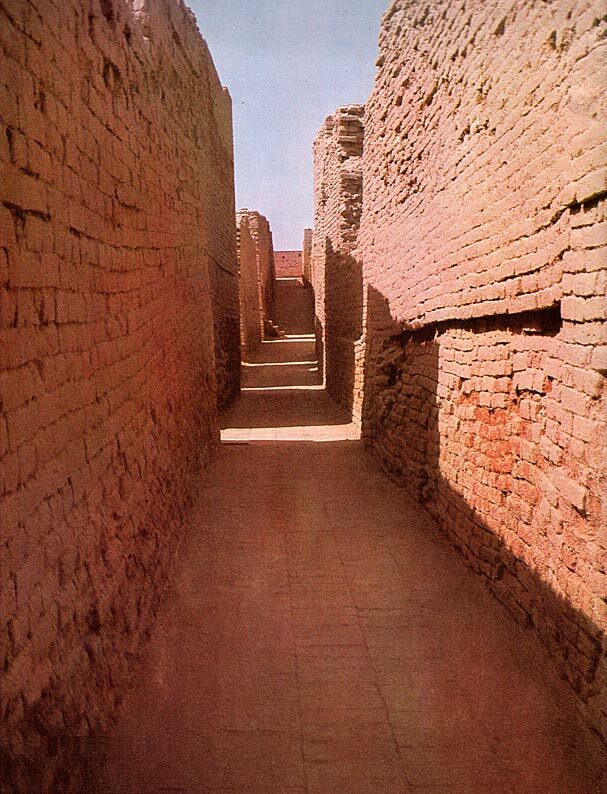 An impressive street with rows of houses at Moenjodaro.